Mike is a native of Australia, where he taught high school economics and history for a decade. In 1983 Mike and his family moved from down under to up and over (specifically Newburyport, MA.) 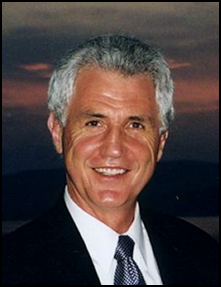 He began his career in Real Estate with Vernon Martin in 1984. He was the Top Salesperson there for three years before joining Century 21 in Newburyport as Manager. While at Century 21, he was again the Top Salesperson for three straight years. Mike joined Stone Ridge Properties in 1994 and became an owner in 1995. Since that time he has consistently been in the top 5% of more than 600 real estate professionals doing business in Newburyport and the surrounding communities. Mike won the award for Best Real Estate Agent in the Newburyport Daily News for the years 2013, 2014, 2015 and 2016. Mike and his wife Jan have lived in Newburyport for 30 plus years. They have raised four children in their Victorian home which they renovated. Mike and Jan have restored numerous properties in the area, favoring the unique antique architecture found in Newburyport. Mike, who played Australian Rules Football for many years, has transferred his football allegiance to the New England Patriots but his deepest passion is for travel. Over the years, he has extensively roamed around the world but there is no place like the Newburyport area to call home! There is no reason to guarantee excellent service. If you ever feel I am not doing the job you expected of me, I will cancel the listing contract. 240 242 High St Condo Assoc Bldg.